Yes today is a battle, a mighty fine one at that. 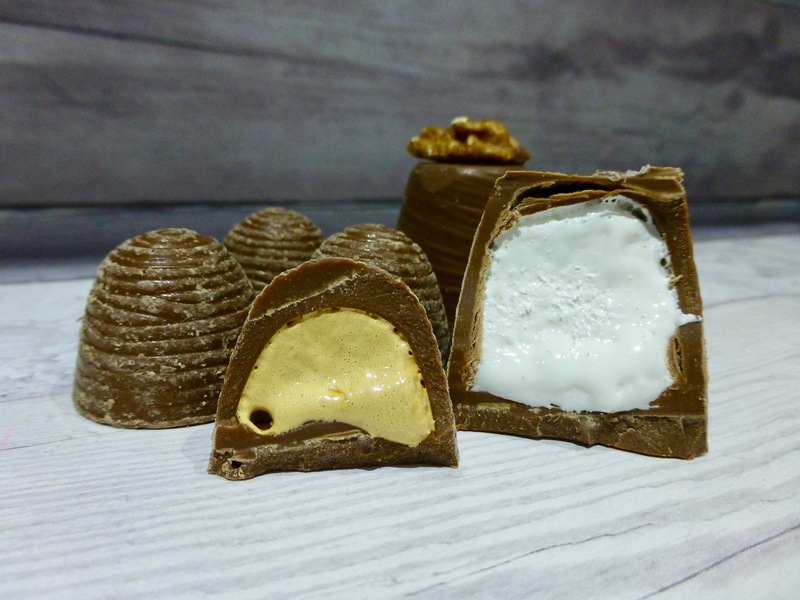 M&S is the king for traditional Walnut Whips but they haven’t stopped there, oh no, they have added to the family by shrinking them and giving us Mini Salted Caramel Whips. These M&S Walnut Whips* and Mini Salted Caramel Whips* were part of my very exciting delivery of goodies from Marks and Spencer Food PR, which if you follow on Instagram you would have seen a sneak peak! It was pretty hard to decide which to tuck into first, but the salted caramel won me over. 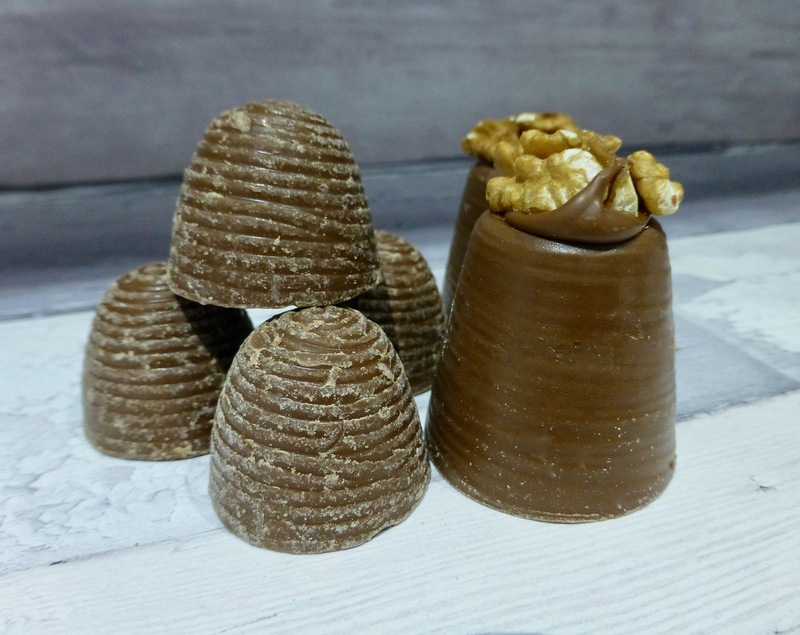 From looks alone the mini ones just look like chocolate cups and you wouldn’t automatically think it was a Whip. A downside is they are missing the inviting glossy chocolate coating that the original has, so for me they aren’t as visually appealing. The mini whips are a bit more manageable but it does mean you may eat more. For both, the ratio of chocolate to mallow was spot on and the creamy thick milk chocolate was delicious. The mallow inner for both were light, fluffy and airy, but be careful it is pretty sticky. Salted Caramel Whips aren’t new to M&S as they do a standard sized one which I reviewed here, and for me fell it short in flavour. The Mini version however had a great flavour – a salty beginning, a caramel middle and a chocolate end, I couldn’t quite pinpoint what the flavour reminded me of. Then it hit me… Butterscotch Angel Delight. Yes these chocolate morsels have the hidden flavour of the joy that is Angel Delight and I couldn’t be happier about it. So which is the winner? Drum roll please …….. 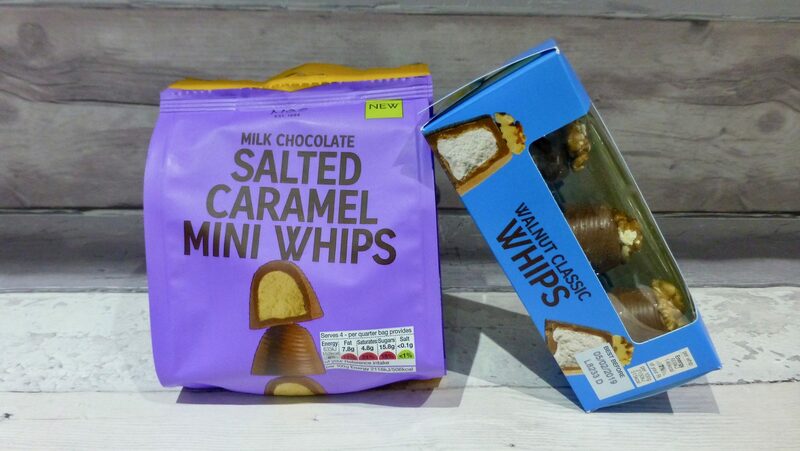 The M&S Walnut Whips vs Mini Salted Caramel Whips winner is 100% the M&S Mini Salted Caramel Whips. The salted caramel flavour is spot on, I like the size of them, and the quality is up there. Really you cannot go wrong with either but I know for sure I will be reaching for the mini whips when I am next in M&S.